If you’ve sighed at the sight of Christmas decorations sitting cheek and jowl with Halloween décor, you’re not alone. The holiday “season” seems to begin in October and last a full three months. Set your priorities. 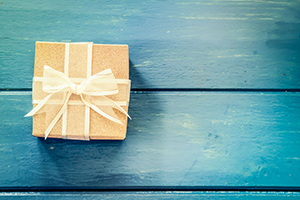 Is lavish gift giving deeply meaningful and significant to you? Or are you stuck in a gifting cycle you’d like to end? If you would prefer to earmark some of the money you typically spend on gifts for another purpose, such as a family vacation, set your intention now. You’ll be much more inspired to trim spending when you know you’re directing money to something more meaningful. Check your cash flow. As my clients know, I’m a big fan of the First Step cash flow system. It helps you see where your money’s going so you can determine if your spending is aligned with your values and dreams. If you aren’t sure where all the money has gone at the end of the month, First Step can answer that. Before you start buying gifts and loading up on décor, spend some time getting a handle on your financial picture. You’re less likely to blow a budget when you actually have a budget. Think it through. I know that “budget” can be an uncomfortable word for many people. If you’re one of them, tackle your expected spending the other way: Make a list of all your holiday expenses and the amount of money you realistically expect to spend on them. Don’t forget wine/alcohol, baking ingredients/food, transportation costs, décor, gifts, charitable giving, winter gear (ski clothes, ice skates). Is your savings enough to cover all these costs? If not, how will you fund these purchases? Spend less. That’s the easiest way to keep spending in check. Opt for experiences over “stuff.” Gift cards to the movies, theater or restaurants are about experiences, and you can control exactly how much you spend. I suggest keeping a few gift cards on hand so you don’t blow your careful money management if you need a last-minute holiday present.